This project will benefit the communities of San Juan de Pablo and Trinidad, located in the San Lorenzo Muncipality of the department of Boaco. These communities are too small and remote to receive assistance from other organizations. The current water sources for the communities are artisanal water holes along the side of the river. These water holes are highly polluted as they are used for watering livestock, bathing, and washing clothes. As a result the water is not fit for human consumption. Currently, families must travel from 100 meters up to 1 kilometer to bring water to their houses. The communities also lack adequate sanitation, as latrines are either non-existent or are in such a deteriorated condition so as to be unusable. 10 families involved in reforestation efforts will also construct a fuel-efficient stove that uses 60% less wood than a typical stove. -Install a solar pumping water system. This consists of solar panels, a solar pump that will pump to a distribution tank that will in turn distribute water via gravity flow to the families. 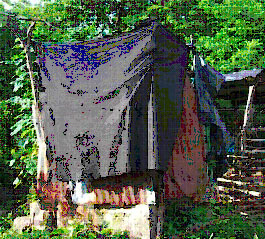 Latrines will be built first, then the water system, and then reforestation. The community has agreed that each member will pay a quota each month for the water systems maintenance (20 córdobas, approximately $1). This amount will go to the maintenance fund which will be maintained by the treasurer of the potable water committee and will be put into a bank account if it reaches 1,500 córdobas (U$82). El Porvenir will assist the community in opening a bank account if necessary. Each family is responsable for the maintenance of the their latrines. The revised budget reflects that the latrines are complete and asks for funding for just completing the solar pumping water system. We estimate that the project will require 8,120 person days of labor, which will be provided by the beneficiary communities on a volunteer basis. Without a little more breakdown the numbers cannot be digested. It would be good to have a little more clarity on costs/person. Right now it is by far the highest ration considered by BPR. Will the facilities and needs assessment change the proposal? Without a little more breakdown the numbers cannot be digested. It would be good to have a little more clarity on costs/person. Right now it is by far the highest ration considered by BPR. Will the facilities and needs assessment change the proposal? Sorry for the lateness ... Do some folks have sanitation today? Why is the coverage not 100% Following the discussion in the other proposal, what sanitation technology and approach are you thinking of taking? Since this is a long project, maybe you have time for education and behavior change? Do some folks have sanitation today? Following the discussion in the other proposal, what sanitation technology and approach are you thinking of taking? Since this is a long project, maybe you have time for education and behavior change? There is always opportunity for education - all our projects include that component as a key success factor. Isn't the peer review period over? Each family pays $1 per month for services. There are 110 families (at this time, presumably that will grow. That's $110 per month in fees. This will need to cover operator cost (not much), any maintenance (again, not much), and system repairs or replacement parts (broken modules at $250 each or thereabouts - could be lots of money if modules need replacement). That needs to be made clear to the beneficiaries that they will have to be able to pony up module replacement costs, which to them would likely be a significant cost burden. So who pays if the customers don't? Another issue is the per household water consumption rate. How are you planning to allocate water to the beneficiary families? In regular piped systems, consumption is regulated by the cost of water. How will that be set? Meter? If so, who buys and reads the meters? How will the water charges be collected? What if the wealthier people use a lot of water per person, so that there is little left for the poorer families? Do you plan a cap on per family use of water? If not, then as the number of people per family (and the community as a whole) grows over time, what is the planned response? The solar radiation is only so much, and demand will grow (not only for domestic consumption, but for small vegetable gardens. So what happens when some water consumers start using higher than expected amounts of water for domestic or commercial gardens? How will water use be regulated among the villagers? Is there an existing social/political mechanism to effectively deal with this inevitability? Good questions on the long term sustainability. Although we said $1/family in the app, I think the final calculations once the infrastructure is in place will be higher, more like $2-3 per family - meters will be installed and each family will pay according to the usage. The price per cubic meter will be set using calculations of the final O&M costs and replacement parts, etc. We have a similar project in another area of the country (electric pumping - grid, not solar) and the CAP (Water committee) has saved about $3,000US in 2 years from the beneficiaries (about 90 families, similar size to this one). Each family pays about $2-3 I believe there. Even if this community is half as successful financially, they should be able to find money for replacement parts. This one is different in that it has solar panels to take into account in the long term replacement/sustainability, but still, I think it can be done. We have visited a couple of other Nicaraguan solar pumping projects. The key to the successful ones seems to be the community organization (CAP). Our hygiene education includes O&M training and all repairs are understood to be the responsability of the community. The CAP is trained in installing, reading the meters. They will be self regulating in this case. The CAP will assign someone to collect funds. In this particular project, the throughput of water is fairly opulent, but still, the system is understood to be for human consumption. In other communities, we have run into this problem of some community members trying to use more water than others, or "illegally" connecting to use for farm animals, for example. In cases like these, there is a regulatory document that the community has and uses. Usually there is a rule prohibiting these kinds of activitites and the CAP is authorized to disconnect the beneficiary from the system. In the design document, you can see the population growth is planned for 15 or 20 years I believe. The solar radiation in Nicaragua was assessed in this community by our volunteer consultant and he is confident that there is more than enough power for the solar pump. The panels are installed in such a manner than they can be rotated several times a day to increase potential power. I still can't open the attached Excel files as they have the "xls.doc" file designation. If you rename it to .xls (remove the .doc) you should be able to. Why are there fuel efficient cookstoves in an otherwise water supply and sanitation project proposal, and if so, why are there only ten of them? Our program includes a reforestation component which includes more efficient wood-burning stoves which generally use 50-60% less firewood. For us, reforestation of the watershed is a key component of the water project, and stoves indirectly impact this by promoting more efficient use of current wood supplies. The stoves in our program are considered a stimulus for community reforesters. Only 5-10 are offered at a time in a community for 2 reasons: (1) funding and (2) only the best community reforesters are eligible to receive a stove. Sorry for the empty posts above. Challenging this internet thing in the developing world! Firstly, really admire your community ownership model. We have one very similar and see the depth of value that your services offer these communities! I also really appreciate the succint and comprehensive proposal. - I wanted to ask about the solar pumps. Where are you getting the materials to build? Are they available locally? - can you give a more detailed description of the creation of sustainable organizations in the community to manage resources in the long term? - without political engagement, do you find any challenges in creating a conservation area or is that just recognized by the community? - As I understand this project ensure that EVERY member of the community receives a latrine, 5 fruit trees, a stove and access to the solar pump whichi is great! Other than sweat labor for the installation, are there maintenance fees for the pump? If so, where will they access funding for that? - which kind of fruit trees? will each household decide or will that also be strategized by the organization? The solar pumps are Grundfos, our volunteer solar/electric pumping advisor likes them as they have a good track record for durability. They will be purchased in the US (cheaper), although they are available on order from Managua. The solar panels can be purchased here in Managua as well. There are even solar panels that are manufactured in Nicaragua, although their quality is much less than the average brand. Other materials are available locally, cement, PVC piping, etc. In all our water and sanitation projects, a CAP (Potable water committee) is formed. The CAP organizes the community labor, the maintenance in the long term, collection of the monthly fees, meetings, repairs, etc. Often a local committee is existing in the community when our staff arrive, if not, we train the community in what the different positions imply (president, treasurer, etc.) and help them hold elections and such. Often these organizations end up taking on further projects that have nothing to do with water and sanitation, like road repair, lobbying local govt for a school, etc. In most communities it is not too much of a problem to conserve the area, since most people quickly understand, through our hygiene and environmental education the link from their water and health to the watershed. Sometimes, however, the landowner is not local and this can cause problems. However, the new water law has provided some tools for municipalities to intervene and protect water sources. We have built excellent relations with the municipalities over the years and can get support from them in tricky situations. Well, not every family gets a stove and fruit trees, (but yes to the water access and latrine) - both stoves and fruit trees are an incentive to the community members that get involved in the reforestation component. Once they have built a community nursery and planted trees, the people involved will get a stove and fruit trees. The most common fruit trees given are orange, mandarin, avocado, lime, mango. People have some say on which type, but it depends on what we have available. As I mentioned, yes, there is a maintenance fee that each family pays. If it is home service, then there will be water meters to regulate; if it is public/shared taps, then there is a fixed fee. They pay this from their family income. In most communities, this is from sale of agricultural products or from the sale of their labor as day-laborers. Awesome Rob! Great model! Ours is very similar and I think it's awesome that the organization has the capacity to take on other projects after you've worked with them. We're seeing that here in the Philippines too. One of our spring development projects where an organization was formed and the water system is serving 2 barangays (villages), after our program realized the need to start a reforestation project around the spring, which they are now partnering with the Department of Environmental and Natural Resources to implement. do you have a base in the states? Would love to hear more about what you're doing! Any plans to move into other countries? Any plans to share your model for replication? Lastly, how do you find introducing 3 new initiatives at the same time? Does it require more outreach? More time with each household? We have an office in Denver, CO (1420 Ogden). I see you are in Minnesota... If you are ever close to CO, you should drop in and visit Jenna and Alexis in our office. We don't have plans to move to other countries at this time, there is still a lot to do here! We would love to share our model with anyone that is interested. Is it correct that "every member of the community" receives a latrine, 5 fruit trees, a stove and access to the solar pump? Or should it say "every family"? Also, I'm no tree expert, but I would imagine that there are significant cost differences between different kinds of trees, so should we offer a choice of any kind of tree, or should we provide a list of possible options. You are correct, that is a typo, it should be every family. As I mentioned above, we generally don't do stoves in all homes. The communities grow the trees (local species) in a community nursery, so cost differences are minimal. In fact, the community members can choose to some extent the energetic or precious wood seeds that they want to use in the nursery - most are available in the community. The fruit trees are a bit more pricey, but again they are a stimulus for people that are reforesting. I have requested the engineer to send me an electronic copy of the design, I only have a hard copy here. When I get it, hopefully soon (although he is external to our staff), I will post it here for you. is a solar panel and an electric pump appropriate technology for people living on less than two dollars a day? They could never afford repairs making me question the long term sustainability of the project. A simple manual transfer pump with service parts would be more appropriate. It is part of the educational process with the community that we teach them about finances and monthly payments and even help them open a bank account in some cases. I am not sure what you mean by a "simple manual transfer pump"? Please clarify. the depth and breadth of the proposal is most impressive. The non-electric pumping option is what I referred to previously. This project has a much higher cost to beneficiary ratio than your other projects (over $300 verses just over $100). In a tight money enviornment, is this the best use of resources? What makes this project so compelling? Lowest Prices ($/Wp. The tracking of the lowest price band in the survey is measured against the number of prices below $4.75 per watt. As of August 2009, there are currently 475 solar module prices below $4.75 per watt (€3.32 per watt) or 34.3% of the total survey. This compares with 420 prices below $4.75 per watt in July. The lowest retail price for a multi-crystalline silicon solar module is $2.48 per watt (€1.74 per watt) from a US retailer. The lowest retail price for a monocrystalline silicon module is $2.80 per watt (€1.96 per watt), from a US retailer. Note, however, that "not all models are equal." In other words, brand, technical attributes and certifications do matter. The lowest thin film module price is at $1.76 per watt (€1.23 per watt) from an Asian-based retailer. As a general rule, it is typical to expect thin film modules to be at a price discount to crystalline silicon (for like module powers). This thin film price is represented by a 130 watt module, which would then cost around $229. You'd also need another $50 or so for installation. Note, once again, that these prices are based upon the purchase of a single solar module and prices are exclusive of sales taxes. Information on volume discounts, factory gate and PV system pricing is available as part of our consultancy services. Price Index Context - The module cost represents around 50 - 60% of the total installed cost of a Solar Energy System. Therefore the solar module price is the key element in the total price of an installed solar system. All prices are exclusive of sales taxes, which depending on the country or region can add 8-20% to the prices, with generally highest sales tax rates in Europe. And what happens when some kids start chucking rocks at the module? Thanks Rick for the tech details. I installed a 3kW system in my home and it covers everything except the 1/2 water pump since the high startup current cannot be supported by my inverter. And i am facing issues of cleaning the modules and adjusting the direction in summer and winter. Can't see how solar is the way to go in places where its been a challenge to get composting latrines or even dual-pit ones. El Porvenir's stellar track record has been built on low cost, appropriate tech with a strong focus on community. Is there some pressure to move to hi-tech projects? In my opinion the only valid one should be a free supplier of solar components! Is the design of the water system available? The project is good and looking at the background and the way organization is functioning in the area is good.Good point about the project is, its solving the problem of water and sanitation and building the capacity of local community which is really good.Community look after the infrastructure and take active part in implementation are plus points of project.The methodology and out come of the project is well presented. Solid project but the cost to beneficiary ratio too high in this tight money environment. I have not seen a single solar project survive in Guatemala for more than a couple of years and those only if the NGO sticks around and supports the project for years. The technology although simple enough is often beyond the technical and financial ability of villages and families to maintain and support with replacement parts. This solar project should be identified as experimental and others not funded until several years of evaluation have passed. If the model proves itself then it would be another good alternative for villages without gravity flow water system potential. Great ideas! It feels like there is a lot of different but integrated projects going on. I hope that the implementers can remain focused also on comprehensive reporting so that we can see the challenges and successes of a program with multiple projects happening simultaneously. This is not as much as a rating for success, but the lack of fit with the funder. Overall the project looks good. Details on sanitation approach and maintenance of solar system and storage location for batteries, etc. are very much needed. The main concern is the cost/beneficiary which is important for BPR's constituency. So, it cannot be supported by BPR. Other funders (esp. institutions) may not worry about this matter. PWX will be happy to work with them to manage the project on the PWX website. 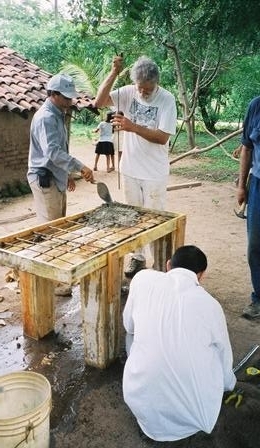 From their proposal: "El Porvenir has nearly 20 years of experience helping rural Nicaraguan communities build appropriate technology (wells, latrines, community washing stations, and fuel efficient stoves) as well as providing communities with the tools they need to manage their water, sanitation and forestry resources." Their proposal appeared to be reasonably well thought out. However, I was not able to review their proposed cost break down because the file format uploaded was non-standard (xls.doc.) Their considerable experience in water supply and sanitation would presumably lead to reasonable budgets. Also it seemed a bit odd to include the fuel efficient cookstoves in what is otherwise a water and sanitation project, and especially including only ten of them.